This website is maintained by Florida Department of Transportation (FDOT), District Two. 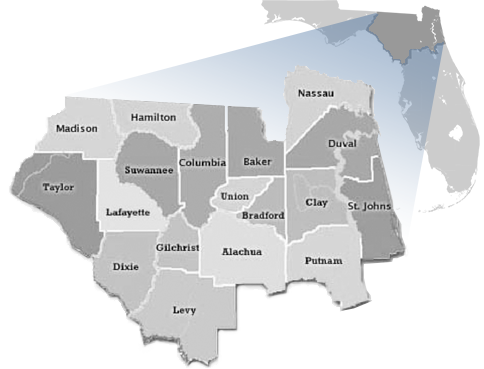 FDOT, District Two covers the Northeast Florida region including the following 18 counties: Alachua, Baker, Bradford, Clay, Columbia, Dixie, Duval, Gilchrist, Hamilton, Lafayette, Levy, Madison, Nassau, Putnam, St. Johns, Suwannee, Taylor and Union. Information updated on this website for each project may include construction updates, current photographs, lane closure information and other interesting and/or useful project facts.